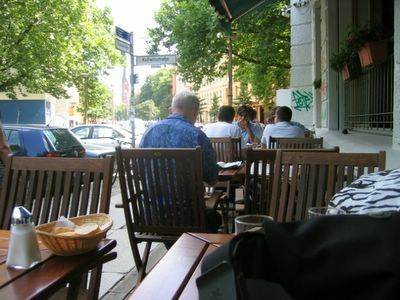 In between all the beer, wurst-stalls and soccer, Clarice and I managed to try an awesome Alsatian restaurant in Berlin. 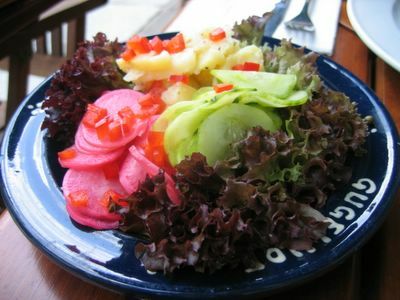 It's quite well known, appears in most of the major guidebooks, and has its own website. And having eaten there myself, I can say that it most definitely deserves its reputation. I had a "Choucroute Gugelhof" and a salad, whilst Clarice had a Spanferkel. We couldn't exactly figure out what spanferkel is, but we think it might be hare. 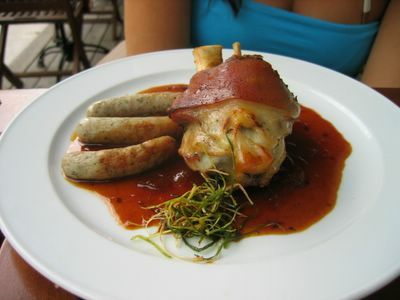 I made a choucroute garnie once during the How to Eat project, and really liked it. 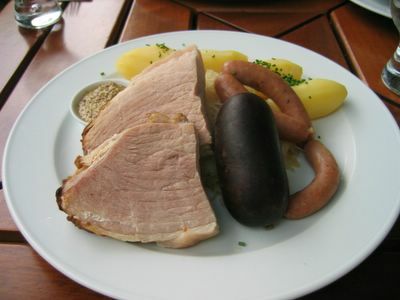 So naturally, I was very keen to try an authentic one, from the land of choucroute. It did not disappoint. 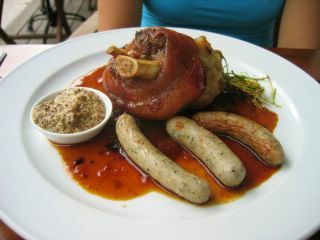 Choucroute - No, I couldn't finish all that meat. 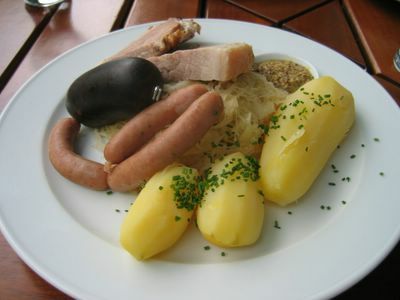 As you can see, a choucroute gugelhof consists of sauerkraut, potatoes, small pork sausages, a blood sausage, and 2 mega pieces of delicious German pork. 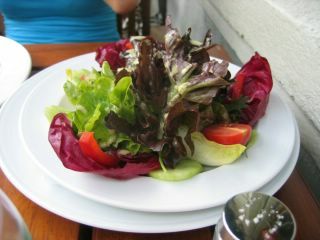 All the smallgoods were infinitely more delicious than anything I've ever been able to get in Australia. This is Clarice's spanferkel, with sausages and sauce. 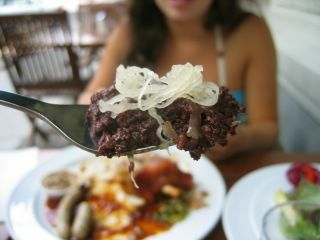 I'd never had blood sausage before, and whilst it tasted nice, I found it a bit too rich and couldn't finish it. 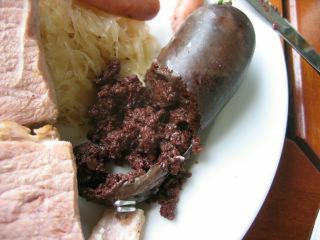 Close up of blood sausage mit sauerkraut. Sauerkraut is da bomb! The meal was very well priced, especially considering how good the food was, and how stuffed we were afterwards. Our meal, with water and a couple of cokes came up to €36.20.